Excuse us for living, but what better way to begin a Memorial Day post than with the American Flag. In this day and age in our country, it represents the only common ground we have left that says, “Cease fire. We all agree about this.” (Well, most of us!) And if you are reading this, my compliments for taking time from your holiday weekend preparations &/or celebration for a patriotic moment. Briefly, Memorial Day is set aside to take the time to remember and commemorate those who have died in the military service of our country. That is the essence of Memorial Day. But in practice, it is a day we also recognize all veterans of military service who are deceased. This is documented by the practice of the VFW, of which I am a member, and the American Legion, of which my father was a member, of placing a small American flag on the gravesites of as many veterans as they possibly can. Then we have Veterans Day every November 11. 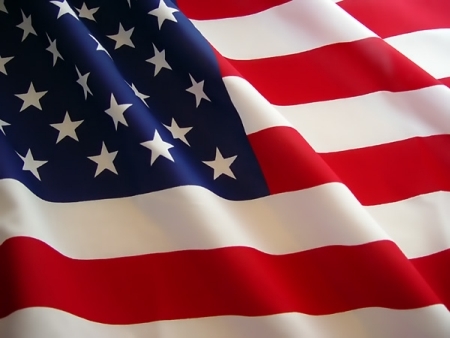 This day is dedicated to honor veterans of military service to our country. It is usually associated with living veterans as opposed to the deceased. It has been suggested to combine both Memorial Day and Veterans Day into one day commemorating all who have served, both the deceased and the living. It does make more sense than forcing veterans to identify with Veterans Day because they are alive, only to slip into the Memorial Day “class” for others to honor once they are gone! And, in my opinion, Memorial Day is the more prominent and has the right “ring to it,” to combine both sentiments, honoring all veterans once a year, the deceased and the living. Naturally, this will never happen as long as we have enough living “vets” in the VFW and the American Legion to lobby Congress, waving that flag, to preserve November 11th as Veterans Day. Anyway, for the record, a “Veterans Memorial Day” would “do the trick,” as they say. We could all come together and put our arms around the living veterans at our annual barbecues and thank them and remember all our fallen heroes and veterans who have passed on in the process. If how we identify personally is any measure, then I cast my vote for a “Veterans Memorial Day.” You may have relatives and friends, living or deceased, who are or were veterans. –Your grandfather, grandmother, father, mother, uncle, aunt, sister, brother, cousin, neighbor, schoolmate, friend. You pause on Memorial Day and remember him or her, that special person. If they are still alive, do you say to yourself, “Oops, I can’t include him?” Of course not, you just did! You don’t wait for Veterans Day. 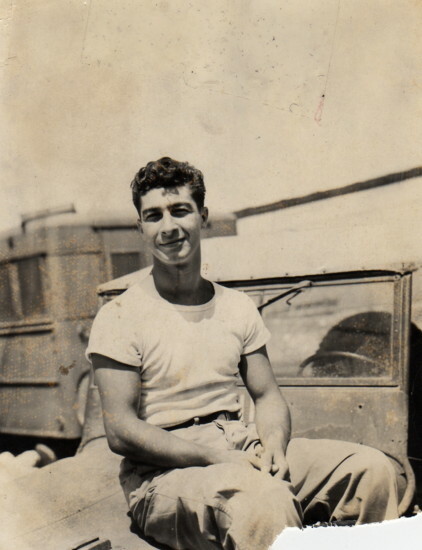 For me identifying means my father, SGT Joseph A. Fontana, medic in the U.S. Army Air Corps, pictured above sitting on a jeep in Saipan. He is long gone now. But like so many in “The Greatest Generation,” he spoke little of his fourteen months there. We have the old photos and even some WWII artifacts. We know he endured Japanese aircraft strafing the island. 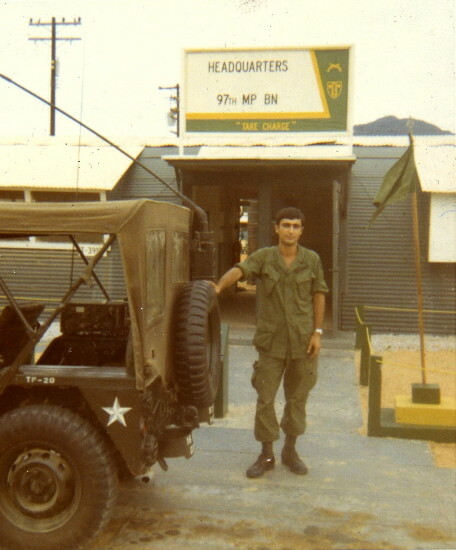 And I say “identify” and close with the following photo of another “GI” who is still alive, standing next to a jeep in Vietnam. Who? Check me out and the caption below. Excuse us for living, but a “Veterans Memorial Day” just seems more appropriate. Your family’s service & sacrifice is humbling. What a history of patriotic service to our country by one family. I am certain you are very proud of this. Wish I could know more about each of their assignments, stories, & wounds. Wonderful re your visits to the Wall in honor of Michael. Bob, honest, my first visit to the Wall was not until 1992. And with 58,000+ deceased, my first gut human emotion/thought was, “I’m glad my name is not on that Wall.” We were trying to help Wende’s people, but we made so many mistakes in the process. I am sure you & Wende have spent hours talking about this. Thanks as always! And this one wasn’t a recipe, Buddy! Good article Phil. However I STRONGLY disagree. I think too many of us take for granted our freedoms and lifestyle that has been earned for us over centuries by those who were willing to sacrifice for us and to serve. I personally think 2 days out of a year is a paltry amount of time to honor Veterans, both living and dead. It doesn’t matter what you call the day. At least those two days do serve as reminders. Exactly! Glad I have gotten people to think & talk about our Veterans. I guess where I am coming from is too many people ignoring the ultimate sacrifice made by our service men & women & just having a holiday weekend & BBQ. And then come November 11, hardly a sole even thinks of what day it is. Speaking as a veteran, the only greeting I have ever received on Nov 11 was from a fellow veteran because they are the only ones who even know who is a veteran. So thanks for honoring the deceased Veterans on Memorial Day & the living Veterans every November 11. I still have the beautiful emailed photos of, I believe it was, your dear Uncle. So I appreciate where you are coming from & wish there were more people like YOU! First off, let me say a sincere THANK-YOU for your service to our country! I try and remember to say that when a veteran is identified to me…. My dad, like your dad, is long gone. But my dad was on Pearl Harbor the day it was bombed. Luckily he was across the bay on Ford’s Island sleeping at that time. My dad was on Submarine duty and I often wonder how he endured being on a sub for MONTHS at a time! So glad you all had a safe & enjoyable trip & that you are HERE BACK COMMENTING!!!! Missed you! Thank you for your recognition of one soldier’s service time, me. Those were hard times emotionally. I was drafted out of Wayne State Law School, imagine, & young men were running off to Canada as you know to evade the draft. Nice that you say thanks to veterans. What a war record your Dad had from Pearl Harbor Day presence to submarine duty! You should be very proud of him. Have you ever been on any of those WWII subs? They were not like the ones we have today. Those subs were like “submerged closets.” Talk about claustrophobic!!! There is one up here in Hackensack, NJ, docked on the river open to tourists. It’s from WWII & you have to strain climbing into & about it! And your Dad being away months at a time on one of those!!!!! Hope you have a photo of him proudly on display. Phil. I never knew you were a Veteran. Thank you for serving. My Dad (Harry Ricker) serviced on the USS Newport News from (~1961-1965). He was in the blocade in ’63 and went on several cuises around the globe. Both my grandfaters were cooks in WWII, one in the Navy, and the other with the 82nd airborne. Keep blogging…I enjoy reading your posts! I came right here and I’m glad I did – excellent post, Phil! !